Today On The Avenue we want to celebrate Mark Fleming. Mark is a young man on the autism spectrum who identified a need in the autistic community, and has made it his personal mission to help solve it. While working as a volunteer for the special Olympics, Mark noticed that a growing issue for people with a disability was how to stay active. Many individuals with a disability end up at home a lot with few opportunities for true exercise. 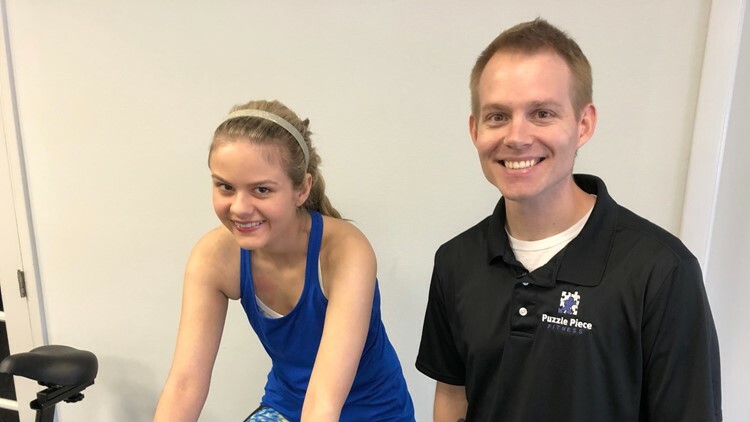 As a University of Alabama student with a master’s degree in exercise science, Mark found a way to apply his experience as a person with autism, and expertise of exercise and its benefits to help others. He began his journey with an in-home personal training service for people with autism and related disorders, and continued that service for the next 3 years. In February of this year, Mark opened his first gym, Puzzle Piece Fitness, dedicated to serving those in the disabled community. If you would like to read more about Mark and Puzzle Piece Gym, you can read Mark’s full write up on CNN’s website. Thank you so much for visiting us here On The Avenue today. We’ll see you next time!